Doing wage work puts us in the comfort zone where most of us stay our whole life. Because our parents have done similarly and we often make our choices based on their examples. If the father is a lawyer as well as the mother and few of the relatives, then probably the child also takes up a lawyer career. That’s just what one of the founders of La Muu, Rasmus Rask did. 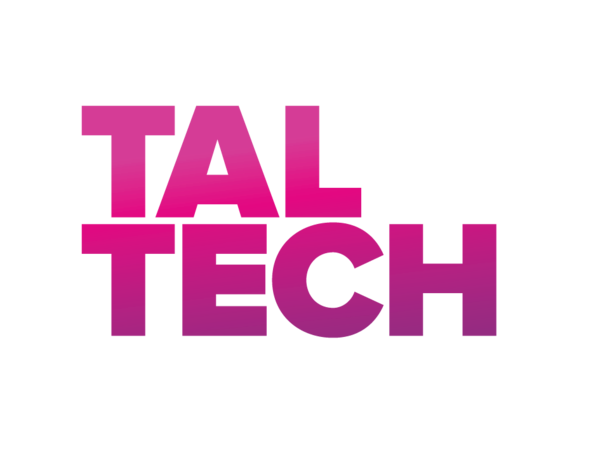 His long –term work experience doesn’t come from law though but banking, leading the brand both in Estonia and in Sweden. His experience in working with brands had left its mark and Rasmus Rask decided to take his next steps in entrepreneurship. His first priorities were creating a business model and phrasing the values of the company to support a strong brand. If in Sweden, brand and design are an integral part of the company, then in Estonia, design-centered thinking in entrepreneurship is still an exception rather than a common practice. In addition to brand experience, going through bankruptcy is always a valuable process that often teaches some very practical things. The founders of La Muu – Priit Mikelsaar and Rasmus Rask went through bankruptcy with their social company Uuskasutuskeskus. Classical beginning from a garage When the decision was made to produce organic ice cream, they went through the usual garage-period with testing and sampling. It turned out that the initiative had struck exactly the right moment where the demands of the market matched with what they had to offer. It was either luck or a subconscious reaction to what was in the air. Clean food with a checked origin and without any additives. So it doesn't matter if you use the work eco or organic - either way it was exactly what the market had been waiting for. Since the niche La Muu stepped into was food production, they had to throughly work with the conditions of production and testing in food labs. In spite of the fears, the official departments controlling and evaluating food companies, are surprisingly reasonable and through constant communication, co-operation and developing it is possible to fill in the requirements for micro companies. One of the first strategic steps was to decide the values of the company and the brand. Rasmus Rask was certain that if a company acts as a human being that you would want to become friends with, it is easier to communicate with clients and also easier for the clients to identify with the company. The selected values were honesty and openness, braveness and ludicrousness – because the aim isn’t to be a dead serious eco-company. 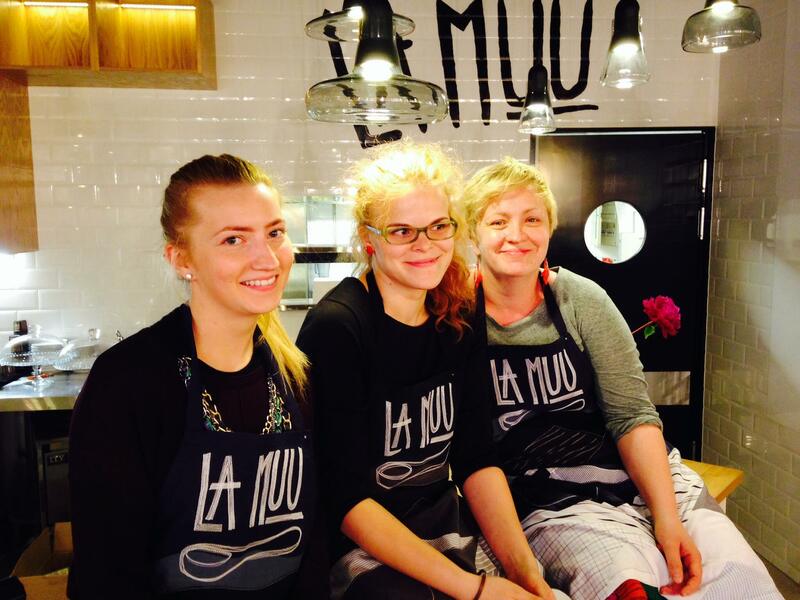 But at the same time La Muu is an important user of local organic products. They work together with local farmers and buy products like rhubarb, bilberry, sea buckthorn and would also produce richer and creamier ice cream if there were enough organic cream produced. After La Muu’s brand, values and product were set, it was time to create the face of La Muu, starting with graphics and a visual identity. There are several design agencies to work with in Estonia, but La Muu decided to organize a small competition to get a better view of the services offered. Three design agencies were sent a thorough brief that included the descriptions of the product, values and customers. For the first sketches they offered to pay 250€ each. Altogether they received 7 sketches which they sent around to their friends to comment and evaluate. Three works received the most votes and those three were all from the same company – also a young packaging design company called KOOR. They felt that in the big agencies such a small work gets lost between important customers and not enough soul would be put into it. So the cooperation with KOOR was started and working with people that had previous experiences from many other design agencies, turned out to be very fruitful. Consumer tests were taken into account in order to find the best package and a valuable lesson was learned from it. It turned out that people like the same types of packaging that they have already seen on the shop windows and new solutions can frighten people away. It sounds obvious that the consumer makes his or her decisions based on the packages they have already seen. There were two options how to go further – either to be safe and create a package that looks like all the others or create something completely different, that derives from the company values and product itself. La Muu, of course, decided to take the risk, to trust itself and create something unique. The interesting part of the package is the material. The first idea was to use organic cardboard, but in reality they couldn’t find any producer who would provide 100% reusable cardboard package that would be suitable for ice cream. The standard cardboard packages for ice cream are covered with plastic and therefor is not recyclable. La Muu decided to use plastic packages that can be reused long-term even after eating ice cream. Product design in ice cream? The design of ice cream consists of taste, consistence, colour and production technology. It is also the main strength of La Muu and Rasmus Rask personally handles it. Creating new recipes and tastes is his passion and being passionate in what you do is a crucial component in every venture. The art of ice cream making was learned from Italian ice cream makers. 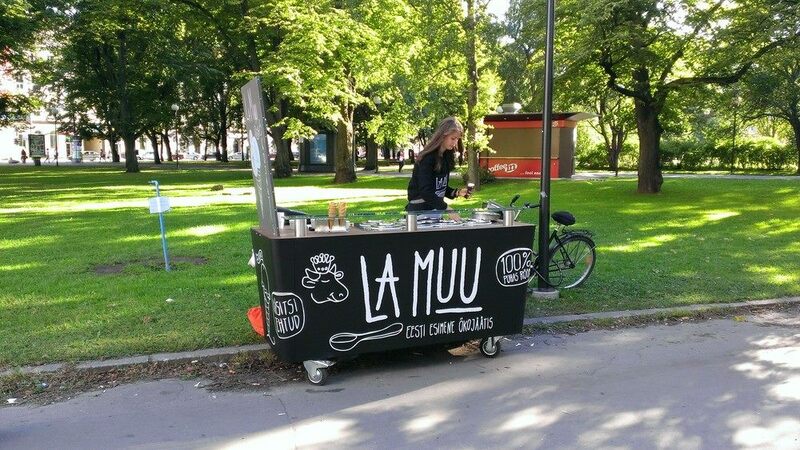 But La Muu also needed the help of product designers in order to create the perfect sales environment – ice cream trolley and clothing for the vendors. And they decided to work together with the best in Estonia and ordered the trolley design from the design agency Iseasi. A good product design company can offer you solutions which are producible, portable and usable and select materials and form that fit with the values and principles of the company. It was a sure way to go and they succeeded already with the first try. In order to create the whole, La Muu wanted to use ecological thinking also in the clothes of workers and vendors. So it made sense to turn to a designer Reet Aus who created joyful aprons for the La Muu staff out of old men shirts found from Uuskaskutuskeskus. Quality in every design phase has led to the point where people who love ice cream see La Muu as a whole and as a company that carries a certain mind set. Because of that people are willing to pay a little bit more than for normal ice cream. But the core of it all is to stand out with tastes and values. You can build values, a good story and everything else only around a great product.